This is a roughly rectangular palette with a groove in the center of one flat surface. 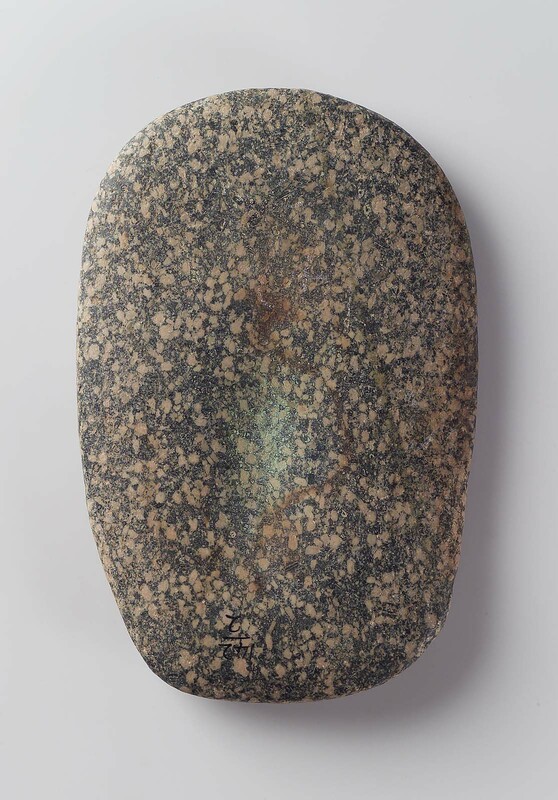 It is composed of dark gray stone with tawny pink inclusions. There is green mineral residue in the groove. From east bank opposite Barda (ASN142/2). 1911. Excavated by Harvard University–Boston Museum of Fine Arts Expedition for the Archaeological Survey of Nubia; assigned to the MFA in the division of finds by the Egyptian government.